The singer who was nominated for the ‘Next Rated’ has been kicked off the list. According to the Headies management Tekno lost out on his spot due to his refusal to honour the category and support the campaign. The category will now be tightly contested by Ycee, Aramide, Humblesmith and Mr Eazi, as the ‘Pana’ hit star misses out on the chance. Nominees are expected to attend promo activities for the event, and also take part in promotion for the category sponsor, Hyundai. Tekno failed to submit himself for engagements, promo campaign photos and more. 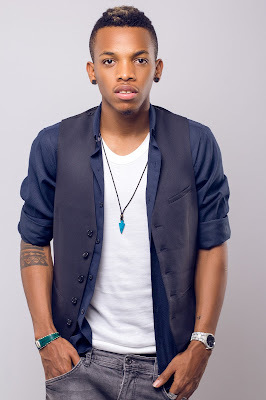 Tekno had earlier rubbished the Headies Awards when he was announced in the category. He took to Instagram to say "‘Next rated after how many years! Let’s be honest pls". His refusal to rate the award show and acknowledge the category is responsible for his lackadaisical attitude towards the show. This isn't the first time an artiste was disqualified from the Headies 'Next Rated' category. In 2013, Burna Boy came close to disqualification for not submitting himself to promo campaign activities. In 2012, Chuddy K, was yanked off the nominee list due to information that he released an album in 2010: to qualify as a nominee in that category one must be an unreleased artist. He was replaced with Flowssick.